Titanic's intended destination was New York. The story about Titanic is the story about New York. The victims included well-known New Yorkers like Isidor Straus, who owned Macy’s department store with his brother, John Jacob Astor IV, who owned more hotels and skyscrapers than any other New Yorker and Benjamin Guggenheim, the brother of the founder of Solomon Guggenheim museum in New York and the father of Peggy Guggenheim, the founder of the famous museums in Venice and Bilbao. 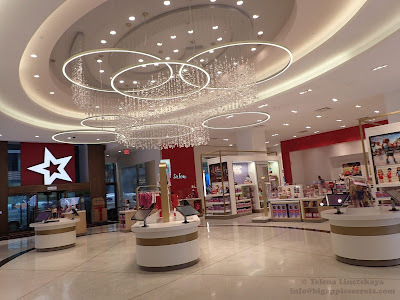 Titanic was operated by prominent British shipping company White Star Line with the office in Bowling Green building on Broadway. In the days following the Titanic’s sinking, thousands gathered outside for word of survivors, as wireless communications were sent directly to the White Star’s offices. 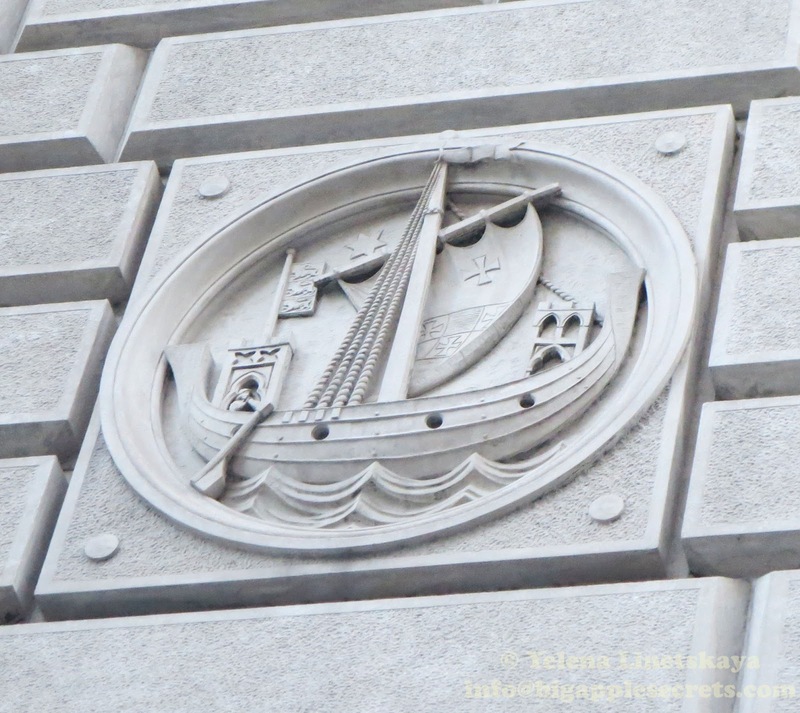 Cunard is located directly next door at #25. 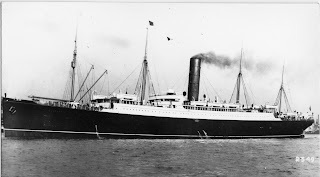 Cunard Line transatlantic passenger steamship Carpathia saved about 700 of the passengers from Titanic . 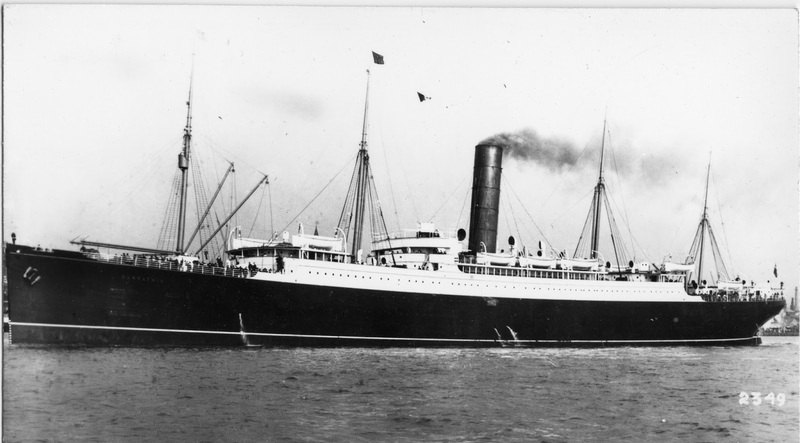 Carpathia made her maiden voyage in 1903. In July 1918 she was torpedoed by the German submarine U-55 in the Atlantic. Five of her crew lost their lives in the sinking. British shipping magnate Sir Samuel Cunard, a son of carpenter who worked for the British garrison , was born in Nova Scotia in 1787. His father fled the American Revolution and settled in Halifax. In 1839 Cunard was awarded the first British trans-Atlantic steamship mail contract and in 1840 the company's first steamship, the Britannia, sailed from Liverpool to Halifax, Nova Scotia and on to Boston, Massachusetts, with Cunard and 63 other passengers on board. For the next thirty years the ships on the Liverpool–Halifax–Boston route were the quickest. 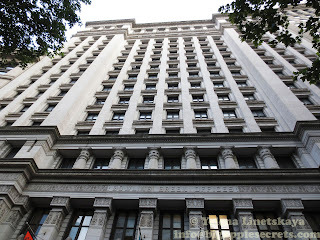 The Cunard Building opened on May 2, 1921. 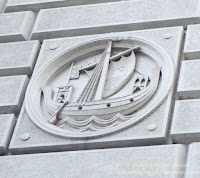 The site of 25 Broadway has long been associated with maritime trade and travel. In 17th century this location contained several Dutch colonial dwellings, one of which belonged a skipper and part-owner of a trading yacht. In 1846, Swiss-born restaurateurs Joseph and Lorenzo Delmonico opened a restaurant on the site. In 1856 there was Stevens House hotel. 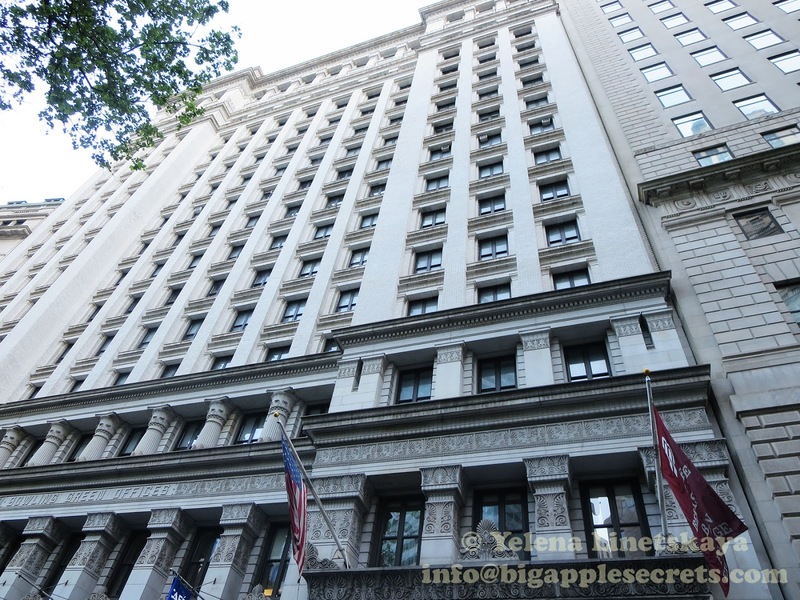 The first floor of the building was made a New York City Landmark. 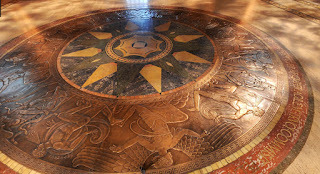 Its walls and vaulted ceilings, adorned with ornate images of steamship routes and sea life. The Great Hall is an Italian neo-renaissance masterpiece. Designed by Benjamin Wistar Morris and completed in 1921, this grand space features 65 foot high ceilings, soaring marble columns, magnificent inlaid floors and murals painted by Ezra Winter. 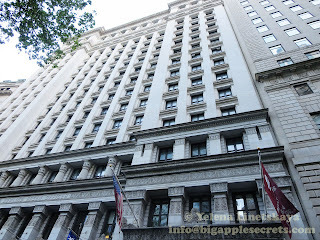 In 1968 Cunard moved its offices to 555 Fifth Avenue. a more advantageous location for booking passengers on ships which had become "floating resorts". Though the upper floors remained rented, the Great Hall was vacated in 1971. In 1974 the U.S. Postal Service leased the vacant Great Hall and other spaces in the building. 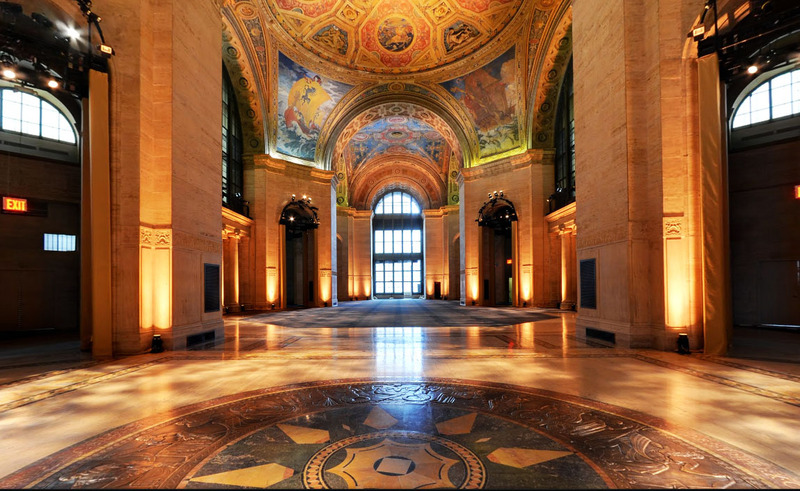 In 1995 the first floor interior, formerly Cunard's ticketing office, was designated a New York City landmark. Post Office was closed in 2000. 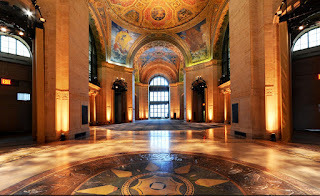 In 2014 the Great Hall was carefully restored and reopened as an elegant special-event space owned by Cipriani, a privately owned international corporation that specializes in traditional Italian food.